Do you ever find yourself burning the candle at both ends, thinking if you just get through this last project or one more day of work, you’ll have a break and you can recharge? Then, out of nowhere – BAM! You’re sick and can’t get out of bed. I’m recovering from three weeks of the worst virus I’ve had in decades. I couldn’t work. Showering made me winded. Doing dishes made me need a nap. I could barely get through the bare minimum of self-care without needing to head back to my bed and sleep the rest of the day. I didn’t even have the energy for Reiki self-treatments. I had to use breathing techniques instead, and even those were a little taxing sometimes. We get so caught up in the doing of life. We have to work to get paid, and if we work a little more, we get paid a little more. That can be a trap for people struggling financially. We want to please others so we sign up for committees and projects that help our community. We have children we cart around to a multitude of activities so they can get caught up in the doing as well. Sometimes the doing is where the marrow of life is. When you’re doing something that is feeding your soul, when you’re creating. But when you’re just a hamster on a wheel, and you’re waiting for X to happen so you can get a break, when you can’t remember why you agreed to it in the first place – those are the times when your body will step in and put you back in place. None of us are immune, and it takes thoughtful effort to keep yourself from becoming overwhelmed. You have to really think before you agree to something. You have to have a clear picture about the time commitment being asked of you, and you have to honor yourself when you just can’t say yes. Taking on one more thing could mean you wind up stopping all activities while you recover from whatever lesson your body has in store for you. Take an assessment of what you’re committed to right now. Keep in mind that everything is a commitment, and even things you enjoy affect you. Stress is a component that shouldn’t be ignored, as it adds weight to everything else you’re carrying. Your job, children, hobbies, your kids’ hobbies, housework, spouse/significant others, friends, pets, family, holidays, birthdays – what is on your plate right now? Do you feel overwhelmed? Is there anything you can cut back? Is there any project that is almost done that you don’t have to renew? Can the kids take a break from sports for the winter? This seems to be the time of year when people crumble the most. Depression hits its height for the year, and stress goes through the roof. I want to remind you that everything you take on is a choice. You might think it isn’t, but it really is. Family members that you don’t get along with do not need to remain in your life. I know a lot of people who won’t attend functions when certain family members are there. And you know what? That eliminates a huge chunk of stress from their lives and keeps them healthy. I have my own experiences with having a lot of illnesses when I forced myself to spend time with family. Once I started saying no, my health improved significantly and I no longer have those annual diseases. It isn’t easy, I know, but it is an option and you might feel better for it in the long run. 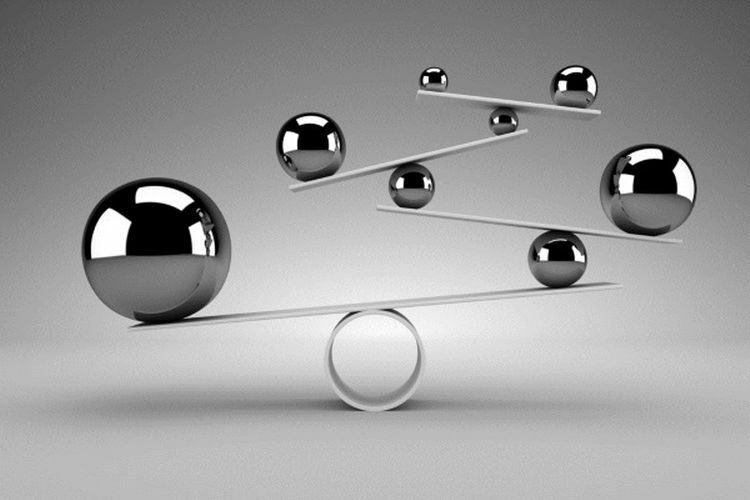 Recently I was watching an interview on TV, and the interviewee was asked about how they keep balance. She said balance is a myth! This was the first time I heard anyone say that! It was amazing to hear because I have spent so much energy looking for this elusive balance, only to now find out that it doesn’t exist. It makes perfect sense. Life is so fluid, you’ll never get all the pieces to line up evenly. Maybe you’ll have moments of balance – and that’s what we should be consciously looking for – but it’s not a thing you reach and then you’re done. Every day, sometimes all day for some people, we are bombarded with new opportunities. Our moments of balance come when we stop and make thoughtful decisions about what we say yes to in life. And when we honor ourselves enough to say no. What’s overwhelming you? Has your body given you a time out? How do you make decisions about when to say yes or no? Please share your stories with me! It’s any pity you do not have a donate button! I’d undoubtedly donate for this superb website! I guess for the present time i’ll be satisfied with book-marking as well as adding your Rss to my personal Google coiaiderstnon. I enjoy new updates and definately will talk about it site along with my Facebook group. Talk shortly!